Ever wonder what a solar geyser is, or rather how exactly do they work? Well here is the answer to all of your questions. Solar geysers are one of the truest and most simple ways of getting the sun to work it off for you using an alternative energy source. Well the sun won’t exactly work for you, but you will be able to use up the suns energy quite efficiently. A solar geyser is a better way to heat water for whatever purposes than the conventional electricity powered geyser. How do solar geysers work? They work on the direct principle of using the suns light and heat to warm up the water that you intend to use. Solar geysers could be direct or indirect. A direct solar geyser is one that works on its own without being connected to an external geyser and on the contrary an indirect solar geyser is connected to another geyser most probably electric powered. The direct solar geyser doesn’t guarantee hot water but is highly fuel efficient while the indirect solar geyser guarantees hot water but isn’t very energy efficient. Solar geysers work on the principle of concentration of heat to warm up the water, the heat is concentrated using mirrors and other techniques, and this heat is then used to heat up the water in the geyser. In any case a solar geyser is relying directly on the principal of convection for its functioning as it siphons off the hot water that rises above the cold water thus giving you only the heated water in your pipeline. However on a day that is not very sunny or rather it is chilly the solar geyser will not heat much of the water thus not being able to guarantee you hot water. Solar geyser prices are not that high when you consider how much you will be saving in the future. For the cost of free energy you cannot ask for much more. Why Choose A Solar Geyser? The obvious reason why you would want to use solar geysers is the savings that you would make on your annual electricity bill. The solar geyser makes water heating a very cheap and pocket friendly technique. This is because once installed the solar geyser does not need any running cost as it runs on the abundance of energy available from the sun in our atmosphere thus solar geysers ease a bit of tension on your pockets as in the average home, the geyser is one of the largest consumers of electricity in your home. That is why although it is and expensive upfront cost, solar geyser prices are not bad once you start using one. You will see how quickly you will recover your initial solar geyser cost you paid to have it installed. It barely has any maintenance cost, which means that once you have paid the solar geyser prices are are getting one installed, you will not have to spend a penny after that in most cases, unless your instrument is faulty in which case you will get a replacement from the company that you purchased it from. With a solar geyser you will finally have your independence from the nagging of the power companies that supply electricity to your household or office. 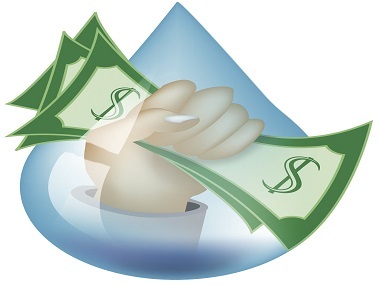 You will no longer have them fleecing you with large bills as the conventional water heater was probably one of the or rather the largest guzzler of electricity in your home or workplace. Have you ever found yourself stuck in the shower or kitchen with no hot water to cook with or have bath with, all due to load shedding? If you haven’t found yourself in such a position you should consider yourself lucky. None the less you should do what you must to make sure that you do not come across such a situation, using a solar geyser will make sure that you will never have to be without hot water to fulfill your basic needs. This is a really important if you are living in a region with very frequent load shedding which is common in South Africa. Check out some solar geyser prices and get one installed and you will never have to worry about water heating problems again during load shedding. The solar geyser has a very small size which lets you fit it in wherever you want, in your backyard, on your terrace or wherever you want to put it, also the solar geyser has a very easy set up which can be carried out even by the least trained people, in fact you do not even need to have any training to set up a solar geyser all you have to do is give a water line in and a water line out. Water heaters being the highest consumers of electricity in the average household put a lot of pressure on the natural resources and on nature itself due to their high power demand. Thus getting a price on a solar geyser and having one installed is a fine way of playing your part in saving the deteriorating planet. 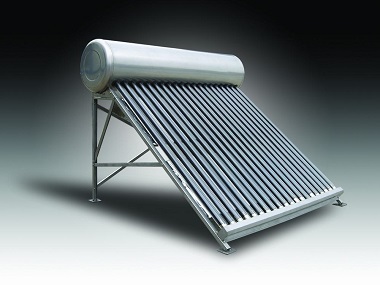 There is hardly any reason to avoid buying a solar water heater, there is factually no reason to do so.